April Fool’s Day, the day where people actually question everything they see on the internet. 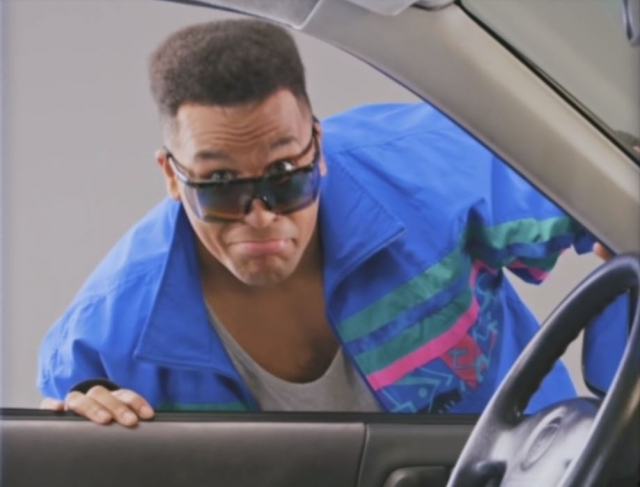 Here at Japanese Nostalgic Car we have traditionally made joke posts about some outlandish stories such as the Tetsuya Tada getting arrested, or Nissan new releasing a new Stanza Wagon. or Honda reverting to their 1991 lineup. Automakers themselves try to get in on the fun, too, but sometimes it backfires. While some were totally outlandish and hilarious, these are three “jokes” that hit a little close to home with car enthusiasts. Sometimes we at JNC surprise even ourselves with joke articles that turn out to be true. For example, in 2008 we thought we were being funny about a Datsun brand revival in India, but then it actually happened in 2013. 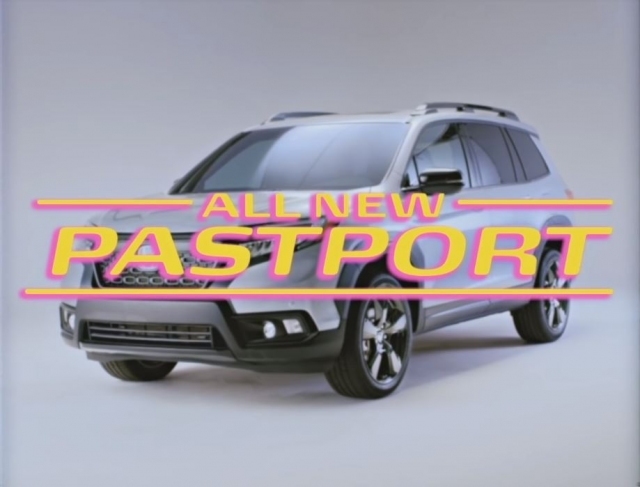 A few years ago, we joked about Honda reviving its 1991 lineup; this year Honda claimed they were reviving a 90s design for the Passport. The Honda Pastport is a 90s-themed trim level, featuring a tape deck, coin holder, and beeper mount. They even ditched the push-button gear selector for a standard PRNDL shifter. Honda seems to be saying that a steering wheel without 45 buttons on it is a bad thing. One could only dream that they would make a truck with this great of an interior. Bonus point, though, for using the actual cabin of the original Isuzu Rodeo-based Passport (which came out in 1993, and is a classic now!) for the interior shots. A tremendous amount of effort went into this April Fool’s joke. Not only did Honda produce a 90s-themed commercial, but Fred Savage did the voice-over, and they even setup a hotline number. The number is 1-833-PASTPORT if you’re keen to leave them a message; maybe put a word in about bringing the S660 to America. Toyota marked April Fools by teasing us with a Yaris ute, complete with fake press release. 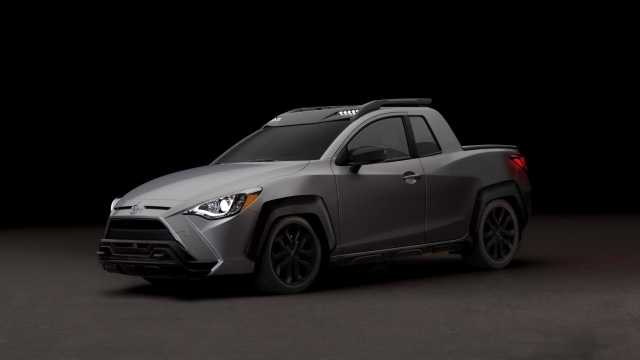 Showing that Toyota USA is truly a Texas company now, they joked about the popularity of urban off-roaders in America, a trend started by the RAV4, Highlander and FWD-only C-HR. What irks me though is that, apparently, they’ve completely forgotten that compact car-based pickups were once a thing in America. 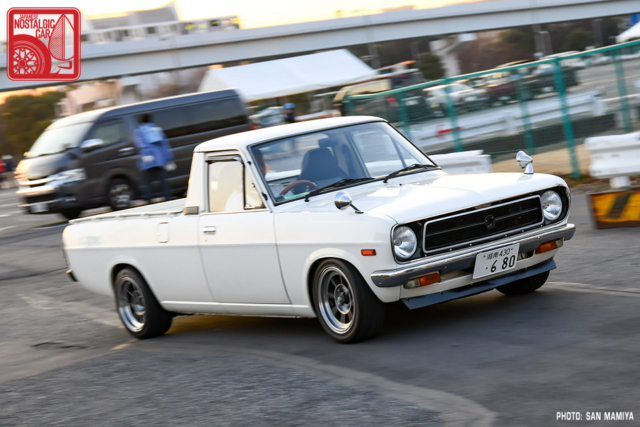 Not only were light trucks like the Subaru BRAT and VW Caddy such a threat to full-size American trucks that the US levied a 25 percent tariff against them, but around the world vehicles like the Nissan Sunny Truck were massive successes. The Sunny Truck was even in production until 2008 and was only killed because of emissions laws, not a lack of popularity. Today, the Fiat Strada, Volkswagen Saveiro and Chevrolet Tornado are prime examples of such trucks thriving around the world. Even now, in America, there are still companies like Smyth who produce conversion kits that turn the new Beetle and several sedans into utes. We can think of many gardening companies, park districts, and urban automotive shops would jump at the chance for a pickup the size of a Yaris. Look no further than the delivery vehicles used by automotive parts retailers like O’Reilly’s, where Nissan Versas and Mitsubishi Mirages are the go-to vehicles. Most likely, Toyota was trying to drum up buzz for the new Yaris hatchback, which is based on the very fun-to-drive Mazda Demio. A pickup with Mazda handling? C’mon Toyota, this needs to exist. Hyundai’s joke was a rendering that of a Korean Mazda Miata, posed with the question, “Should we build it?” The result was not laughs, but everyone ranging from automotive enthusiasts to my 93-year-old grandmother shouting a collective “Yes!” Full disclosure: my 93-year-old grandmother actually did see it and demanded a ride in it immediately. 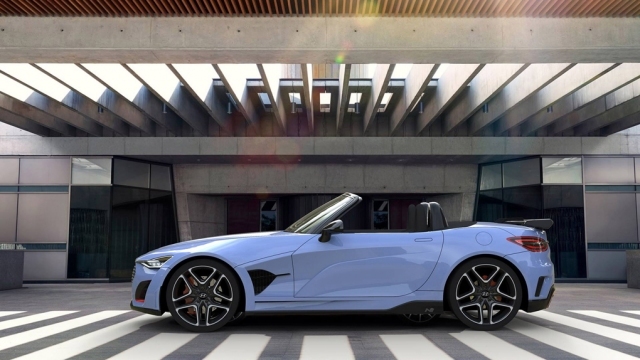 To be entirely fair, the N Roadster rendering was from Hyundai designer Yeonjoon Park’s personal Behance page, not Hyundai themselves. However, it was shared by the N Division’s Australian Facebook page. 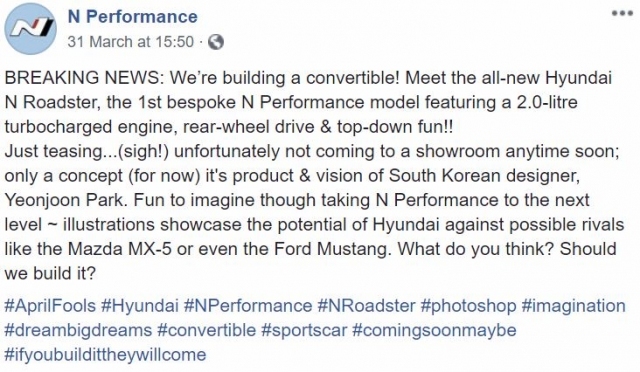 According to Park, the car would use the i30N’s 250-horsepower 4-cylinder engine and 6-speed manual transmission, hopefully with power being delivered to the rear wheels. Hyundai is actually working on a halo car for the N Division that isn’t just a hotted up existing model. One could only hope that Yeonjoon Park will force Hyundai’s hand to make this rendering a reality. 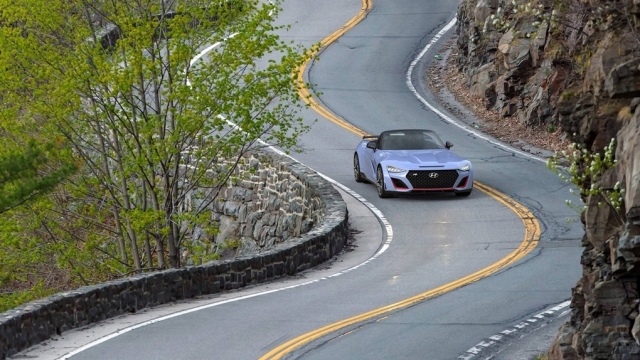 Seriously this car deserves to exist, if not for the good of car enthusiasts around the world, at least for the smile it would bring a 93-year-old Minnesotan woman named Beverly. tagged: demio, honda, hyundai, mazda, Passport, toyota, yaris. Nobody noticed the slight jab to Toyota’s “Oh What a Feeling!” marketing campaign in the Honda Pastport vid? Hmmmm… why would I put a word in about bringing the S660 to America…. when I live in Australia? Strange. That’s stretching the truth by quite a bit. The true threat was the VW Microbus/pickup. The so-called “chicken tax” of 25% levied against imported light trucks was implemented in 1964, long before the BRAT, VW Caddy or any other “ute” was imported or even produced. Car-based utes such as the Ford Ranchero and Chevrolet El Camino sold well, but were never a threat to full size trucks. And compact utes like the ones previously mentioned were barely a blip on the sales charts. Perhaps your statement was tongue-in-cheek for April Fool’s Day. If so, you certainly fooled me. I intended to mean light trucks as a whole and as such have updated the post to specify light trucks, not just trucks such as utes. By the way, Ryan, I happen to own one of the few Nissan Sunny trucks in the US, as I am a huge coupe utility fan. If you ever want pictures, let me know. It is in stellar condition. Honda uses Fred Savage for a vast majority of their contemporary ads. So, their tongue-in-cheek parody…isn’t quite as far removed from reality as they’d like you to believe. On that note, they never tried THAT hard to market their cars in the nineties…they just made good ones. The Pastport really should’ve been teal, or dark green with gold trim – charcoal with black wheels just doesn’t say ” ’90s” to me. 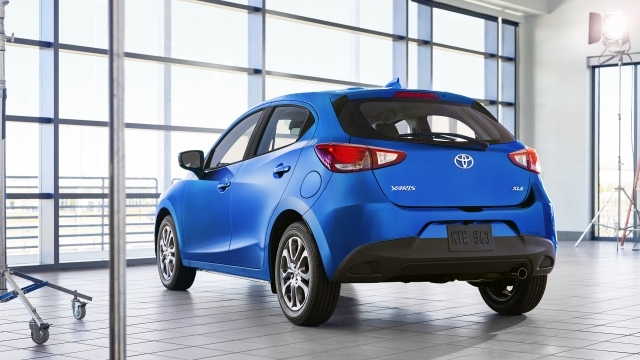 I was seriously considering the Mazda 2-based Yaris hatchback until I found out it’s auto-only; you can get a stick in the sedan and either/or would make more sense the other way around. That and, if they wanted to cut line variations why did they go to three trim levels at the start of the 2019 model year? Yes, AT only on that car is a travesty.